We’ve had some interesting comments on this issue via social media, with some claiming that the cost of getting a medical marijuana card and recommendation letter costs more than the tax that would be paid on recreational marijuana. Rather than dismiss this idea out-of-hand, we thought it’d be best to explore this notion further. In order to do this properly, it’s best to break it down state-by-state. Prices per ounce are taken from http://www.priceofweed.com, and rounded up. Please remember that the amount paid on tax is for prices on high-quality cannabis at the moment, and many states aren’t officially recreationally legal until 2018, so we are projecting costs at the moment given the best available information we have so far. There may also be significant changes in the amounts of tax paid on marijuana in the future. Another thing to remember is that, in many states, medical marijuana patients still have to pay taxes on the marijuana they buy – usually, MMJ cardholders are only exempt from the sales tax portion of the total tax. This varies from state-to-state, though, so it’s a matter of keeping up-to-date with each state’s stance on cannabis taxes. Some doctors in some states will charge for the cost of the application and the cost of the doctor’s appointment separately, whether by law or standard state practice. We don’t do as such at Doctor Frank’s – the cost of a doctor’s appointment, rec letter and medical marijuana card is $59, or $129 for a premium card allowing you to grow up to 99 plants – but other clinics might. Just getting a recommendation letter is often cheaper, but some dispensaries are required to see a valid MMJ card as well. Registering for the medical marijuana programme and getting a MMJ card is also required by law in some states. We also recommend getting a MMJ card in order to avoid legal headaches. Average Cannabis Prices ($/Oz. ): $300. Expect to pay between $10 – $20 per gram of marijuana, depending upon quality. As you can see, marijuana taxes aren’t massive in Alaska, and neither is the cost of the application form. A $150 doctor’s fee is at the steep end, but most probably wouldn’t be paying such high prices. Expect the total cost of getting a MMJ card in Alaska to be between $50 – $100, depending upon whether or not the doctor will charge for their time. You would need to use about 4 ounces per year in order to start saving money on marijuana taxes in Alaska. For most medical marijuana patients, this is easily achievable. Verdict: A happy medium. Whilst getting an MMJ card shouldn’t cost you anymore than rec it won’t cost you much less. You will however have access to better advice on your condition and strain if you visit a marijuana doctor. Tax: 15% excise tax upon purchase. $9.25 tax per dry-weight ounce of marijuana flowers; $2.75 per dry-weight ounce of marijuana leaves. No tax on medical marijuana until 01/01/2018. Cost of Application: $66 for non-Medi-Cal; $33 for Medi-Cal. Getting a MMJ card in California will definitely save you money on the tax, as medical marijuana patients do not have to pay the 15% excise tax. Moreover, medical marijuana is tax-free until January 1, 2018 (when recreational marijuana goes officially legal), due to a legal snafu. Those wanting to get a MMJ card ought to do it as soon as possible in order to save themselves some of that sweet, sweet cash. However, just because there’s no sales tax for MMJ patients, doesn’t mean there’s no tax at all – cultivators who plan on selling their weed still have to pay production taxes, regardless of their intended market. This cost will likely be passed onto cannabis consumers, whether medical or not, and may increase the prices a little bit. 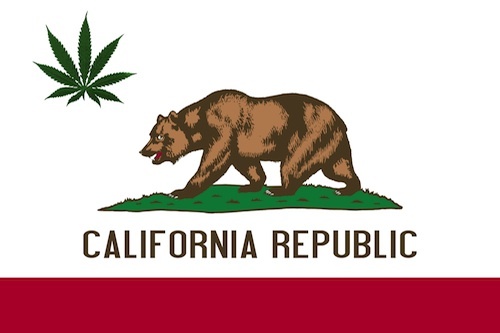 However, California is a massive pot-plant producer, and as of next year there will likely be restrictions on California selling its marijuana produce to other legalized states. Having a glut of marijuana that can’t be sold to anyone but Californians and visitors to California may reduce the prices somewhat, at least in the short-term. A 15% tax on $250 worth of is about $37.50. The total cost of a medical marijuana card and recommendation is in the range of about $125 – $200. You would need to use about 4 ounces in a year to start saving money on marijuana taxes in California. Verdict: Getting a MMJ card will save you cash in California. Tax: 27% (2.9% sales, payable by both medical and recreational users). Cost of Application: $35; may be waived depending on income. There may be a $15 licensing fee as well on top. Extra charges apply for licenses to grow larger numbers of cannabis plants. Cost of Doctor’s Appointment: $75 – $150. A 29% tax on $242 is around $70, whilst 2.9% tax on $242 is about $7. With the cost of a card when all the appointments and the like are included, it can around 8 ounces to start saving on taxes. As surprising as it may sound, some people struggle to get through this amount in a year, especially if they are vaping and using edibles! Verdict: Recreational users will be paying significantly more tax on their weed, and the special medical patient deals at dispensaries and the generally low cost of the marijuana in Colorado may make getting a MMJ card worth it. Tax: No definite tax amount in place yet, but expect it to be around 20%! 5.5% tax for medical patients. Cost of Application: $0 in Maine! However, expect to pay a few dollars for posting. Caregiver applications cost $300, so expensive if you’re growing for someone else! Cost of Doctor’s Appointment: $200 – $300, although follow-ups for repeat patients tend to be cheaper. With the high taxes proposed on recreational marijuana, a minimum tax of 5.5% on marijuana for medical or recreational purposes and the high costs of seeing a MMJ doctor in Maine, it is hard to see whether a MMJ card would actually save money. Thankfully, the application fee is free in Maine for the time being. 20% of $300 is $60, whilst 5.5% of $300 is $16.50. When getting a MMJ card in Maine can cost between $300 – $400, it would take a around 16 ounces to start saving money on marijuana taxes with a MMJ card in Maine. Verdict: Things are still a little uncertain with MMJ card costs. Maine is definitely one state where marijuana enthusiasts ought to consider growing their own. Average Cannabis Prices ($/Oz. ): $340 (high quality); $285 (mid-quality). Tax: 20% as it stands, although it may increase to 28% in future. Cost of Doctor’s Appointment: $100 – $200. Those seeking renewals may get cheaper appointments. Cannabis costs quite a bit in Massachusetts, and a 20% tax on $340 is $68. Medical patients are exempt from the sales taxes, but not necessarily the excise tax. Medical marijuana patients should expect to pay about $34 tax per ounce on top-quality produce at current prices. The total cost of getting a MMJ card in Massachusetts is around $225 – $350, so a medical marijuana user would need to use a minimum of 5 ounces a year in order to start saving money on tax. Verdict: It may be worth getting a MMJ card in Massachusetts, due to the high costs of marijuana in the state. Cannabis taxes are quite high in Massachusetts, so the special dispensary deals and the like may well make getting a MMJ card worth it. Tax: 15%. The wholesale tax excise for medical and recreational marijuana is equal. No. of Oz. per Year to Start Saving on Tax & MMJ Card Costs: Negative – having a Nevadan MMJ card may cost patients money. The only way a registered medical marijuana might be able to save money is by taking advantage of any patient-only special deals at dispensaries. In most states, having a medical marijuana card would save the cardholder at least some money on taxes. This doesn’t seem to be the case in Nevada, where a 15% tax on cannabis holds true for both recreational and medical patients. This essentially means that having a medical marijuana card actually costs a patient in need. For all the things that Nevada have done right with regards to the cannabis industry and the laws regulating it, it seems they may have shot themselves in the foot with this one. Either that, or the state of Nevada is purposefully attempting to draw people away from medical marijuana and become “recreational” users. Verdict: The only advantages to having a valid MMJ card in Nevada at the moment are the extra protections from the law and the deals you can get as a medical patient in the dispensaries. Otherwise, having a Nevadan MMJ card might actually cost you money. However, there is a slight workaround. As Nevada medical marijuana dispensaries have reciprocity with other states, you could conceivably get a card from a state where it’s more worthwhile getting one, assuming you have residency in that state as well. Then, you can use this card in both the state you got it from and Nevada as well. Cost of Application: $200; between $20 – $60 for persons receiving food stamps or SSI benefits, with an Oregon Health Plan card, or who have served in the armed forces. In many states, having a valid medical marijuana card exempts patients from some taxes (usually sales taxes), but not others (usually wholesale excise and state taxes, that are often separated and imposed upon production). This is the case in Oregon, too, where MMJ cardholders are exempt from the sales tax portion of the tax (that’s up to around 8%). On $210 per ounce of high quality weed, recreational users can expect to pay between $35.70 and $52.50 on tax, in comparison to $23 – $30 for medical marijuana patients. The low cost of marijuana in Oregon, where there’s masses of top-shelf stuff being produced everyday, means that the high cost of getting a MMJ card may be worth it for people who use around 10 ounces of marijuana or more per year. Now, for many, 10 ounces seems rather a low amount for a medical patient. However, when you realise that many people use less than a few grams a day (helped very much by vaporizers), it doesn’t seem completely unreasonable to think that getting through more than 10 ounces in a year might be difficult for some. There is also the fact that it is possible for Oregonians to get marijuana for quite a reasonable price, even without a medical marijuana card. This means that the few per cent you’d save on tax as a registered cardholder may be more bother than it’s worth for most people, and this has definitely had an impact upon Oregon’s MMJ programme take up. Verdict: Honestly, it could go either way in Oregon. 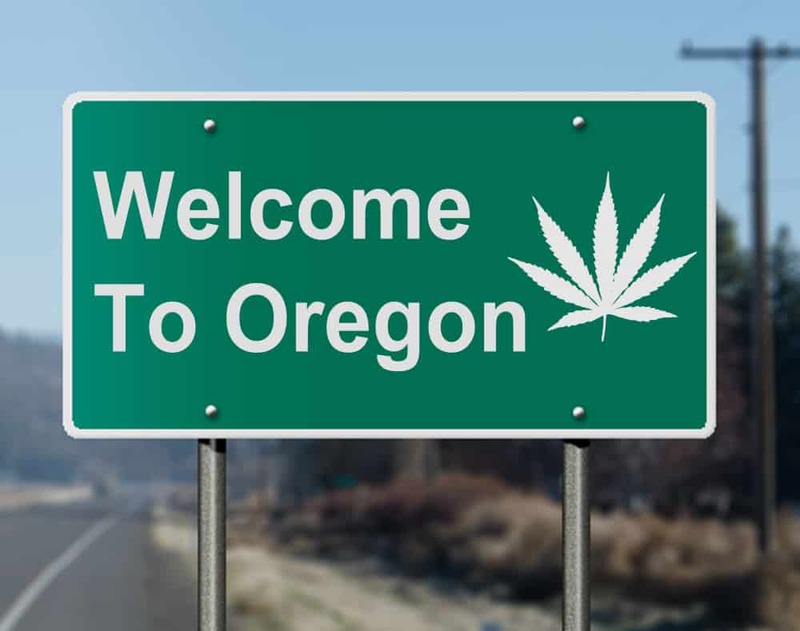 For some, having a MMJ card could be worth it, but this is Oregon – the “green capital” of the U.S. Marijuana here is in abundance. With the way it stands, we see having a MMJ card becoming less and less worthwhile over time, although patients may want the assurance of “quality control” as the mass market becomes de rigeur. Cost of Application: N/A – Washington doesn’t have an official medical marijuana programme. There is, however, the Washington State Medical Marijuana Authorization Form, which is voluntary to sign up to. 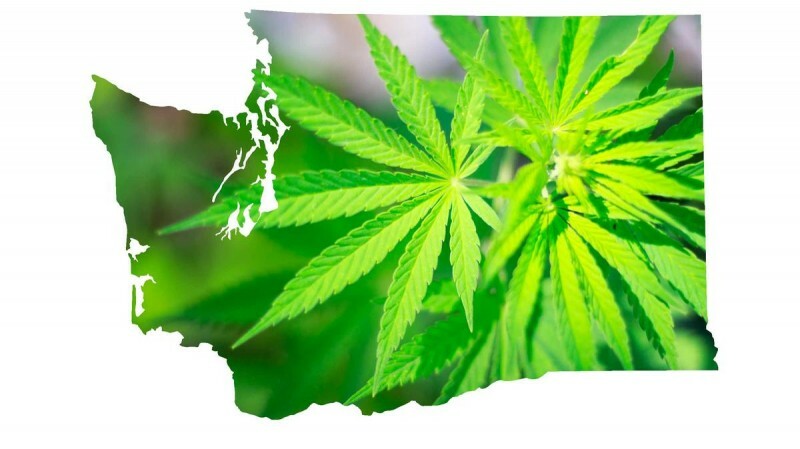 Before Washington state put a 37% tax on cannabis, it was a whooping 75%! That was 25% on producer sales to processors, 25% from processors to retailers, and then an extra 25% on retailers to customers. Unsurprisingly, such high taxes meant that the black market thrived in Washington. To add insult to injury, the Washington Medical Marijuana Programme merged with the recreational market, effectively destroying the medical marijuana market. As such, there is no medical marijuana dispensary in Washington – only state-licensed, recreational retailers. So, is there any point to registering to the Washington State patient database? Definitely, yes. For one, you can start growing your own by doing so, which is illegal for recreational marijuana users to do. Patients may also be able to carry up to 3 ounces on their person, rather than just the 1, and they may join a co-operative garden that grows marijuana for medical patients. ! So, getting Washington-backed MMJ authorization and joining a co-operative garden is definitely worth it. A 37% tax on $233 is around $86. That means you’ll need to use about 12-14 ounces in a year to make up for the cost of getting a medical marijuana card, which is possible for some but might not be for others. “Recreational” cannabis users have to pay a 6.5% sales tax on top of the 37% medical marijuana patients pay, so that’s 43.5% tax on cannabis in Washington! Quite steep. Verdict: Yes getting and MMJ card will save you money on taxes and allow you to grow your own. It seems that, in most states where both recreational and medical marijuana are legal, getting a MMJ card can save you money. However, this is not always the case, and in some places getting a medical marijuana card can either a) be prohibitively expensive for many people, or b) not worth the money spent if a patient isn’t a particularly heavy user. Washington, Nevada and Maine have quite high prices in particular, making the whole “getting a MMJ card = saving money” formula seem a bit circumspect. Something tells us that the politicians and lawmakers are doing this on purpose, whether to try and increase the tax revenue made from marijuana, or because lobbyists from big players in the tobacco, alcohol and pharmaceutical industry want it that way. However, we are willing to believe that this was done by accident, and that it’s just a case of politicians being idiotic rather than conspiratorial!